All Peoa homes currently listed for sale in Peoa as of 04/25/2019 are shown below. You can change the search criteria at any time by pressing the 'Change Search' button below. If you have any questions or you would like more information about any Peoa homes for sale or other Peoa real estate, please contact us and one of our knowledgeable Peoa REALTORS® would be pleased to assist you. "Sleepy Hollow Fish Farm and Wildlife property offering. You have got to come and see this magnificent real estate property. Property has numerous beautiful trees providing abundant privacy from the road. Offering seclusion and privacy on the lower side and open and abundant views up above. Recreation, lifestyle, get away, residence and business opportunities are endless with this beautiful and unique property. There are a total of 4 parcel numbers associated with this property. Acreage is taken from the plat map and needs to be verified. There is a single family home and other buildings that are included with the sale of this property. Parcel Numbers CD-142, CD-70 & CD-70 B and CD-126-A are included. 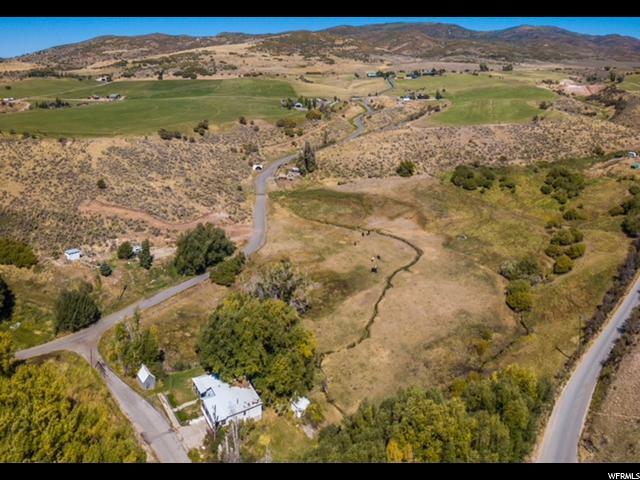 This property has private water rights, spring water rights (including Jack Springs water rights providing a beautiful and running year round water stream feeding 5 (potentially 6) fish ponds capable of raising fish. Property is licensed to raise fish. There are also irrigation water rights and multiple culinary hookups into Peoa Water Company This is an extraordinary property. There is so much to this beautiful property to discuss and not enough room in this listing to share all that this property has to offer. This is one of those once in a life time properties that needs to be seen in order to fully grasp and understand how beautiful and unique it really is. Contact listing agent to set up a tour of the property and a detailed explanation of the property and its features. Property is also being sold as land under a different MLS number. Above grade sf is taken from county records and basement sf is estimated. All SF and acreage as well as all listing data is to be verified by buyers and buyers' agent(s) prior to closing." 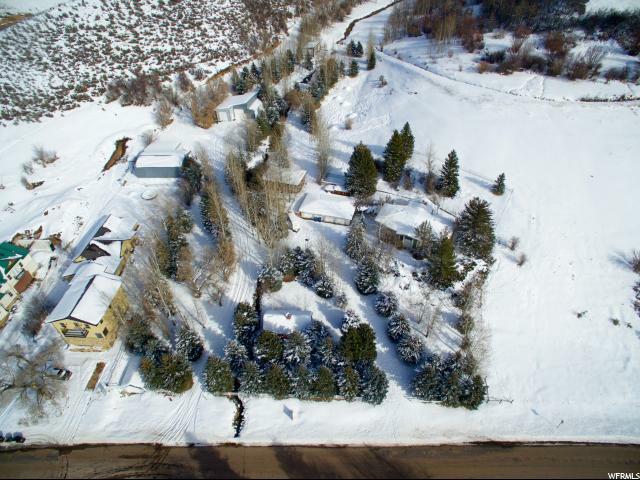 "This beautiful property includes 6.33 acres in Peoa on two separate lots. The first includes 6-acres of rolling pasture, a home and three small outbuildings, the second is .31 acres of buildable land. The home is surrounded by mature willow and cottonwood trees and includes a natural spring and a creek. Included are 3.3 acres of water rights in addition to the spring. Adjacent lot CD-138 (0.31 acre), 2554 W State Road 32, has a year-round creek flowing through on the east side. The total list price is $499,000 for all 6.33 acres and water rights. There is a private drive off Hwy 32 which adds a nice buffer from the main road. This is truly a little gem in the heart of Peoa. Call for more info and showings."